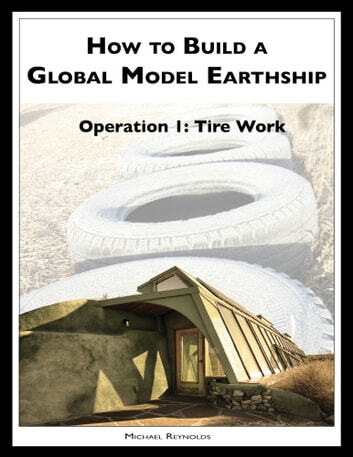 This booklet is the first in a twelve part series that walks the owner/builder through the construction of a Global Model Earthship. This installment covers building the thermal mass walls out of tires, the thermal wrap, vent tubes, cistern installation and front stem walls. Photographs, diagrams and thorough explanations of procedures will guide you through the tire work phase of the building. With over 40 years of experience, Michael Reynolds has developed a 'living' home that heats and cools itself passively, harvests/treats/ and reuses its water four times, collects its own electricity, and grows its own food. The Global Model, which incorporates the double greenhouse, is the culmination of years of experimenting and building with recycled materials. 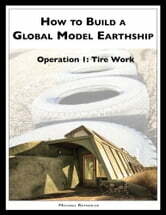 These booklets have been put together with input from the Earthship crew, who have built hundreds of these homes around the world.